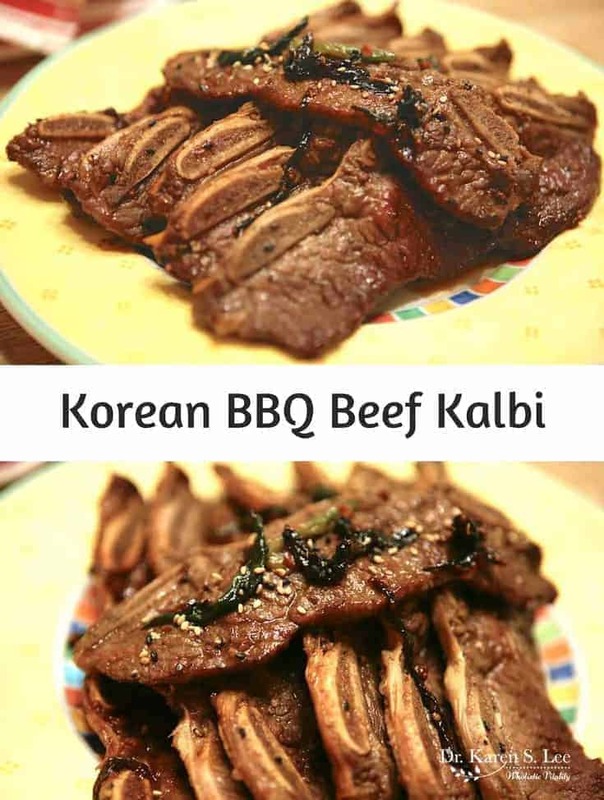 Kalbi is literally “rib bone” when translated into English. The fatty cut around the ribs is perfect for grilling or braising and the meat always turns out tender. The cut of beef used is either a cross section cut (a.k.a. LA Kalbi) as shown in the picture or as long short rib for braising. Korean BBQ Kalbi is everyone’s favorite. Even if you are a vegetarian, you can use this marinade for vegetables. The marinade is a simple delicate balance of saltiness and sweetness. Even though I eliminated added sugar, it usually calls for a certain amount of brown sugar. But I think fruit puree does its job. The meat is marinated for a few hours and it is traditionally grilled over a charcoal brisket BBQ flame. 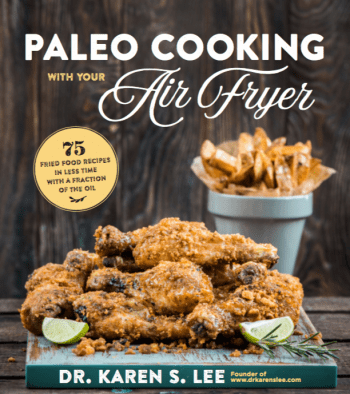 But you can pan fry the meat over the high flame if a grill is not available. 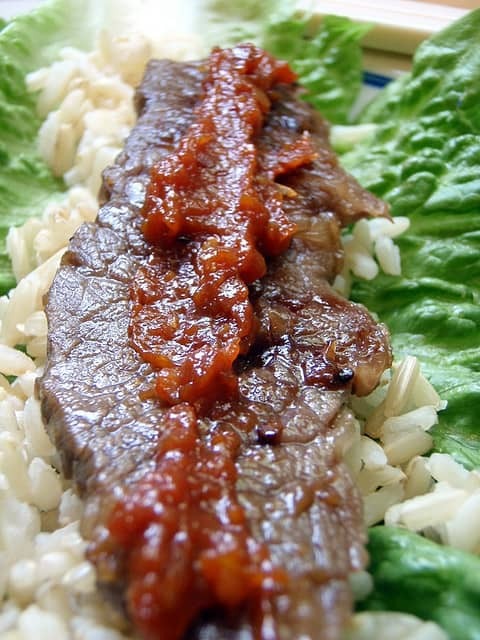 The best way to eat Kalbi is in a lettuce leaf with miso paste called, doenjang on top and hot rice. Peel and core fruits and set aside. In a food processor, add garlic, onion and the fruits and pureé. In a large bowl, combine the garlic pureé, soy sauce, water, chopped scallions, sesame seeds, sesame oil, and black pepper. Mix well. Add the short ribs and coat them well and marinade for 1-2 hours or overnight. Heat the BBQ grill until hot. Grill each ribs pieces until the outside is brown but not burnt. Serve with lettuce and doenjang - Korean miso paste. Beef: 1- 2 hours and baste while grilling. The best type of meat to make Kalbi with are sliced short ribs with a little bit of marbleized fat. The marinade can be used with about 2 lbs. 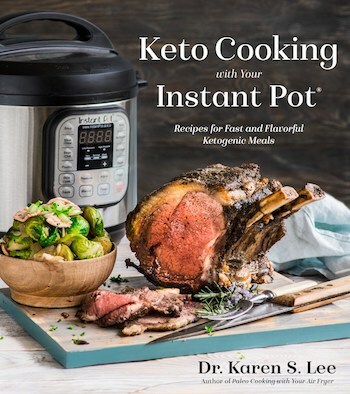 of meat - chicken, short ribs, flank steak or London broil or any other cut of meat that is good for grilling or broiling. It can also be used with vegetables. While grilling on a BBQ grill is the best, you can also pan fry. If you pan fry, use about 1 tsp of oil to start. The oil from the beef will be plenty to cook the meat. You can use a little bit of olive oil when you cook vegetables. Boil the leftover marinade after I marinade the meat. You cannot re-use the leftover marinade but you can bring it to boil and use it as an extra sauce. Refrigerate any unused marinade in a glass jar for up to a week.